Serialization is coming? Will you be ready? Be sure to contact our serialization experts / engineers to discuss your readiness. At Pack Expo International in November we will show a serialization and aggregation line demonstration. Black Box can set up, configure, and monitor the status of all print engines and vision systems, and with one single user interface can distribute coding information to all devices, McLaughlin said. A Printer utilizing HP® TIJ technology. The BlackBox can be configured to include up to 12 print heads. A Printer and Vision Inspection, equipped with either a smart sensor or a smart camera. The BlackBox has a touch screen HMI which allows for a single input for your print, vision inspection and line control. If validation is required, the BlackBox will decrease the time and money necessary, as it has taken what would have been several pieces of equipment and combined them into one. For inquiries on this product call Nutec Systems @ 609-912-0145 or visit our booth (S-4014) at Pack Expo in Chicago. Nutec Systems, Inc. introduces our new software suite cheQAssure™ which has been developed for use in regulated industries (i.e. Pharmaceutical, Medical Device, Food, etc) which provides users with a high level of confidence that regulatory requirements relating to Product Labeling and Identification are met. cheQAssure™ various software suites provide batch verification and quality control. Secondary suite applications include solutions for anti-counterfeiting, diversion, track & trace and returns. 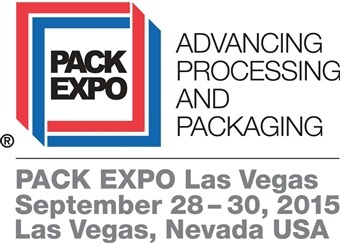 For inquiries on this product call Nutec @ 609-912-0145 or visit our booth (C-1838) at Pack Expo in Las Vegas.